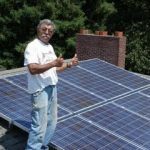 We had a great experience with National Solar. Service was excellent and was done exactly when promised. Price was great. Very professional and highly recommended! They were great from beginning to end. 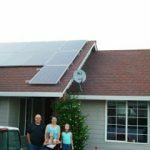 My wife and I have talked to several solar companies for pricing, none would even return our calls. National Solar came out checked to see if it would work and explained all processed to us. The installers were quick and neat. All aspects of the system were explained to us. 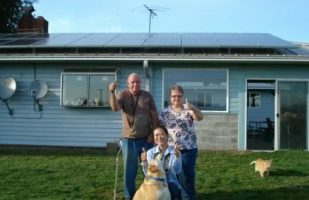 We are the proud owners of a Solar Power System. 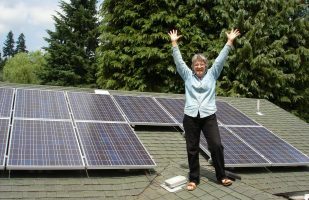 We discovered National Solar at a local event and learned that a PV system will produce power in Oregon. The sales representative was very informative and the process was seamless. We established the size of our system, ordered the materials and National Solar completed the installation without problems. To our delight, when PGE turned it on, we are producing power every day even when the clouds are present. It is nice to know that we are using power that leaves a small carbon footprint and increases the value of our home as well. Thank you National Solar for the great job. 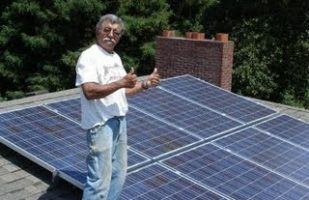 I would like to thank you for the wonderful people you have working for you selling and installing solar panels. They are all so very friendly. The panels look great on the house and it was thrilling to see my meter run backwards. I am really looking forward to this winter as a more “green” way to keep warm. Keep up the good work. 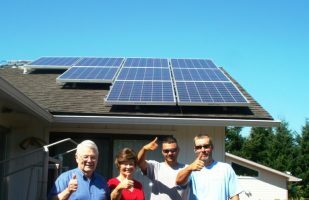 We are very pleased with the solar equipment installed on our home by your team. Our first power bill was 1/2 of the one the month before with solar “on” only 25 of 30 billing days. The system is worry-free and does not detract from the look of our home. 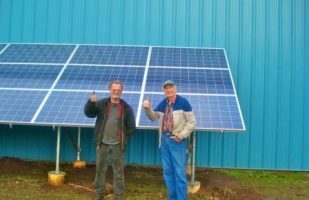 We would freely recommend your company to anyone interested in solar energy. John and his crew did an excellent job installing our system. The panels look perfect as does the electrical installation. The entire crew worked together as a team and were friendly and professional. Please let John and all the others involved know that I really appreciate the great job they did. 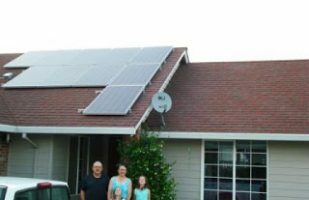 I would highly recommend National Solar to anyone who is considering an alternative to “store bought” electricity. Thanks so much for our great panels. You were all so helpful from the first step of the project. Tom came out and detailed everything we could have wanted to know within a week of us putting in our name…[He] was really thoughtful and clear. We felt very comfortable making a decision with him. John was a great installer with his team. He was receptive to our special requests with wiring and the outward appearance of [the] conduit. He changed our layout plan at the last minute to optimize our solar efficiency. He and his crew were friendly and professional. We can’t wait to see the meter running backward! Good communication of project timelines and where we were at in the process. Friendly Staff. Helps us reduce our reliance on fossil fuels – Looks cool! I love it when my meter is going backwards!